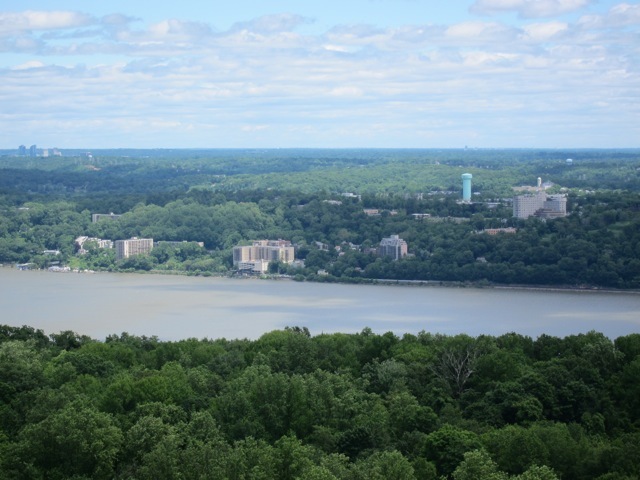 View of Yonkers, NY from the tower in Alpine, NJ. We'll be on the air Monday, 17 June, starting at approximately 11 AM EDT, to cover the dedication of a commemorative plaque near the site of Armstrong's boyhood home in Yonkers, NY, at 1 PM. 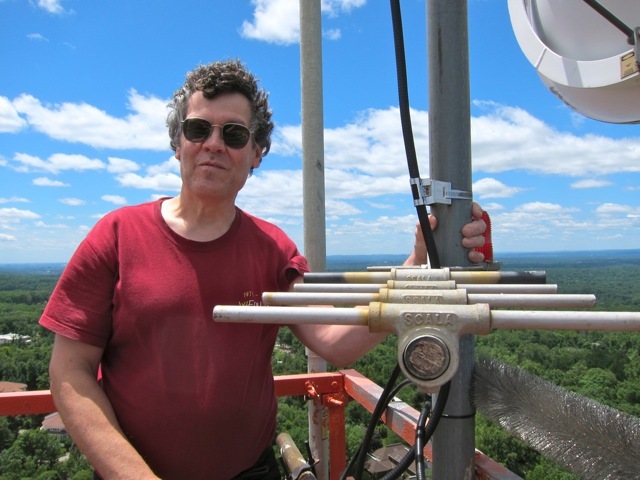 Station licensee and chief engineer Steve Hemphill adjusts the UHF Yagi antenna for the remote pickup from Yonkers. to some recording from the 1940's promoting FM broadcasting.